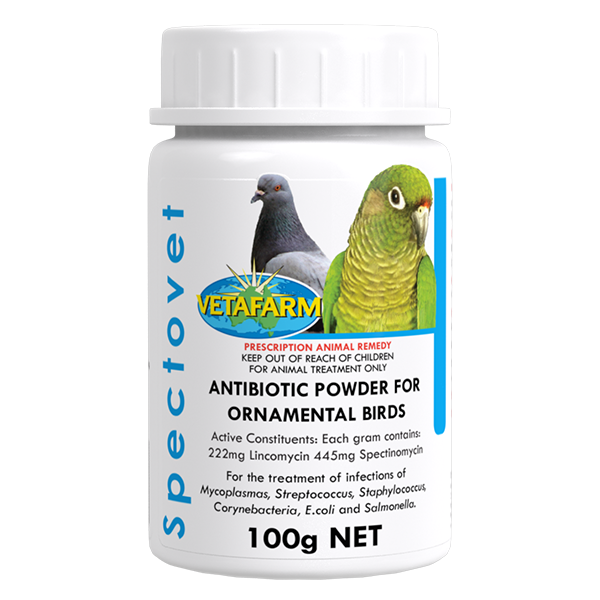 Spectovet has activity against Mycoplasma (Chronic Respiratory Disease), Streptococcus, Staphylococcus, Corynebacteria, E. coli and Salmonella. 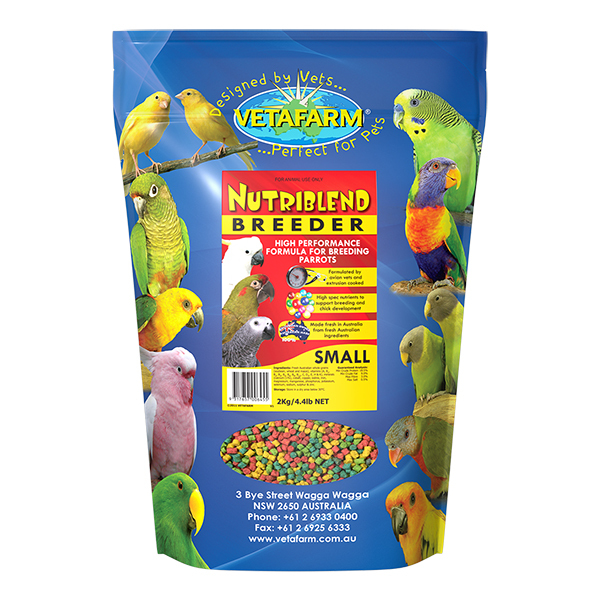 Bantams, finches, canaries, poultry, budgerigars, parakeets and parrots. 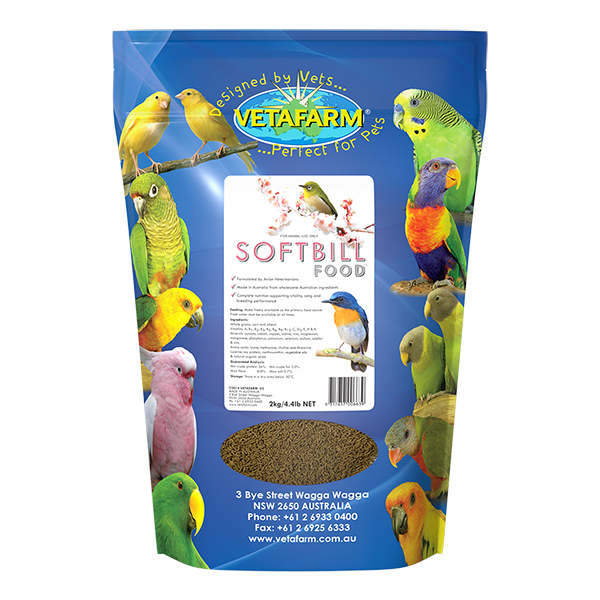 Bantams, finches, canaries and poultry: Add 3g of Spectovet powder per 4L of drinking water (1 tsp per gal). 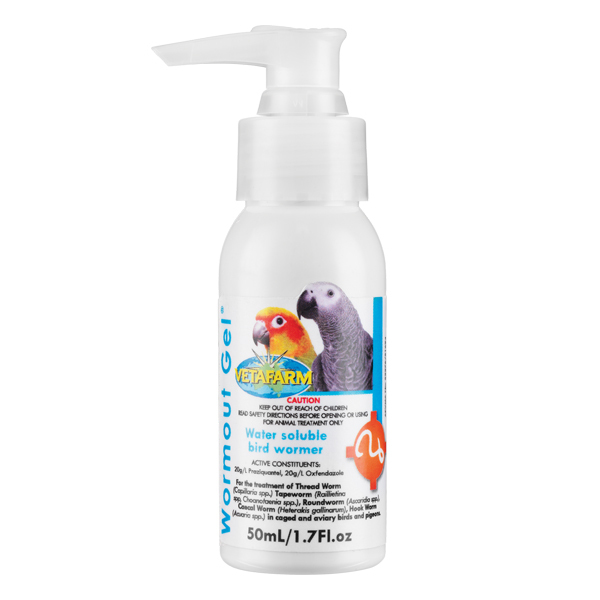 Budgerigars, parakeets and parrots: Add 5g of Spectovet powderper 4L of drinking water (1¾ tsp per gal).